After the last year's problems with John Lasseter, creative chief of both Disney and Pixar studios, removed from his role for alleged unsuitable behavior, in his place two excellent names arrive. So that role entrusted to one person, now is divided again and given to two of the most important figures of the studios owned by Disney. We are talking about Jennifer Lee, screenwriter and director that has been named Chief Creative Officer of the Walt Disney Animation Studios, and Peter Docter, named Chief Creative Officer of the Pixar Animation Studios. 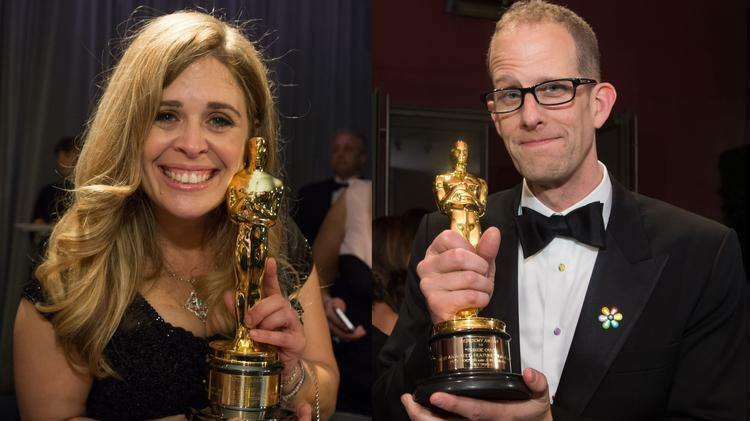 "Jennifer Lee and Pete Docter are two of the most gifted filmmakers and storytellers I've ever had the pleasure to work with," said the Disney chairman Alan Horn. "Pete, the genius creative force behind Up, Inside Out and Monsters, Inc., has been an integral part of Pixar almost since the beginning and is a huge part of its industry-leading success. Jenn, in bringing her bold vision to the boundary-breaking Frozen, has helped infuse Disney Animation with a new and exciting perspective. Each of them embodies the unique spirit, culture, and values of these renowned animation studios, and I couldn’t be more thrilled to have them to lead us into the future." Pixar's President Jim Morris and Disney Animation's President Andrew Millstein will remain in their roles, reporting to Disney & Pixar Animation Studios President Ed Catmull, who also reports to Horn. Jennifer Lee is currently working on Frozen 2. Her credits also include story for Zootopia and screenplay for Wreck-It Ralph. She joined the studio in 2011 on Ralph, and earned a Best Animated Feature Oscar for Frozen as well as three BAFTAs and two Annie Awards. Pete Docter is a member of Pixar's legendary "Brain Trust" and has been with the studio since its break-out film Toy Story. Is currently working on Toy Story 4 and on untitled Pixar movie as director. Despite the Lasseter's troubles, the studios latest release Incredibles 2 opened with a box-office-record-smashing $182.7 million [news].